This year, we want to make sure your Halloween’s an absolute scream for a fright to remember, which is why our Halloween costumes are frightfully fabulous. 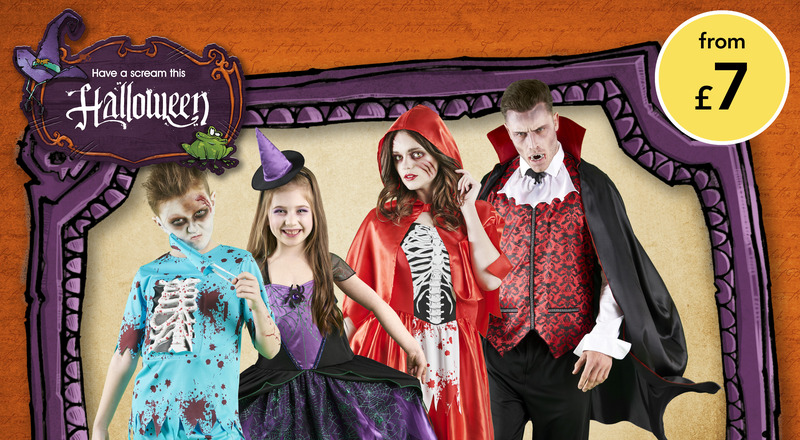 Whether you fancy getting dressed up as a zealous zombie or you want to whizz around the neighbourhood on your broomstick, you’ll find everything you need for your gruesome get-up. 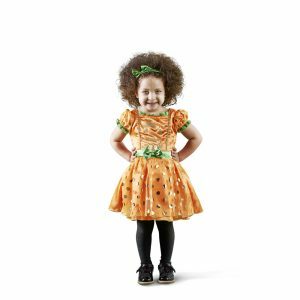 Below, we’ve picked out some of the hideous highlights from our costume collections, all of which are perfect for fancy dress parties or trick-or-treating fun. Warning: this blog contains some horrifying puns! 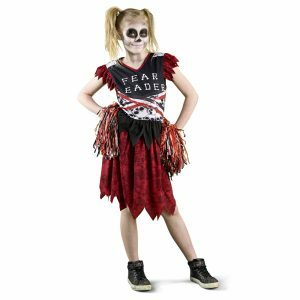 With everything you need to transform the little monsters into terrifying trick-or-treaters, we think these outfits are to die for! From cheeky pumpkins to monsters and skeletons, they’ll soon look creepily cute. 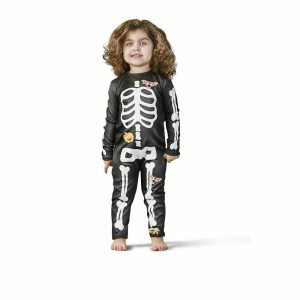 Kids love to get dressed up and this year looks set to be even more spooktacular than before with chilling characters in a range of designs. 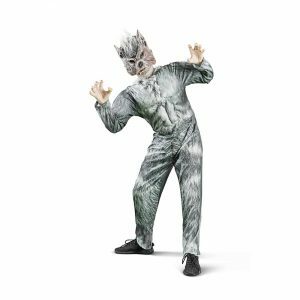 They can give people the fright of their life in our Ghost Costume, scare people to death in a Skull Cheerleader ensemble, make things get a bit hairy in our Werewolf costume or mix up some spooky potions in our Witch outfit. 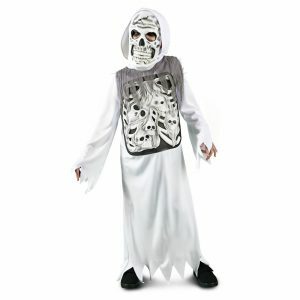 Get ready to terrify with our Scary Nurse outfit, which comes complete with a blood-splattered dress, mask and hat. 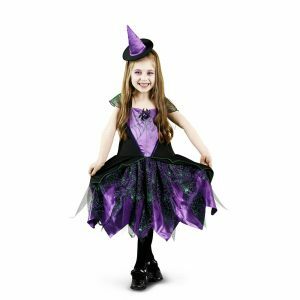 Or, take off on your broom and plan your next spooky potion with our Witch costume, which comes complete with a hat – because what witch would be seen out without a hat? 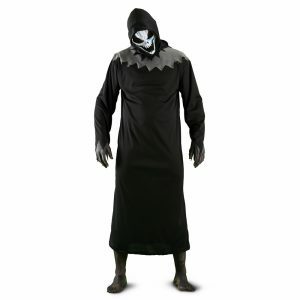 Not to be outdone, our men’s costumes also stand out from the mortal crowd. 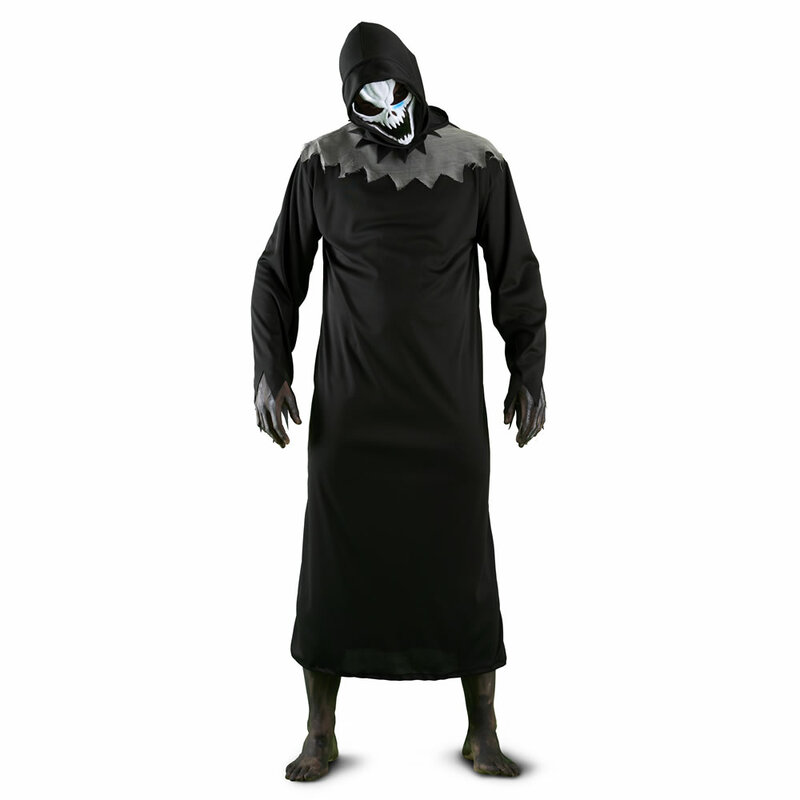 Our Grim Reaper costume definitely won’t be the kiss of death for fancy dress competitions, as the hood and mask will leave other entrants scared within an inch of their life. 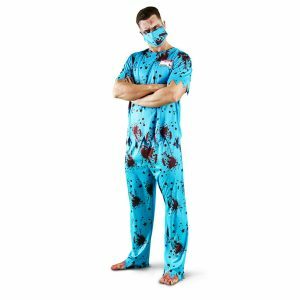 However, if you opt for the Scary Surgeon ensemble, guests might wrongly assume you’re just what the doctor ordered until they see the blood spatters that adorn your costume! 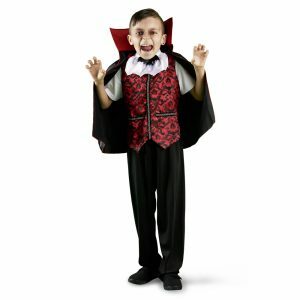 Our Dracula-inspired costumes are sure to get some fang-tastic reactions if you’re heading out as a family this Halloween. 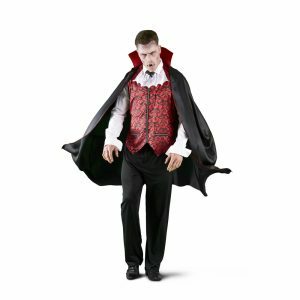 Mr and Mrs Dracula try to keep their appearance low-key and sophisticated, but there are still some telltale signs that give them away, including the Bloodsucking Vampire and Gothic Vampiress they’ve recently spawned. 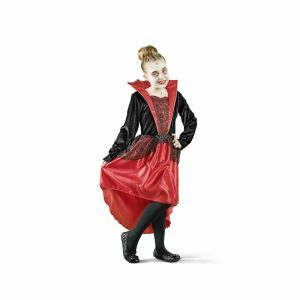 With each of the costumes boasting a gothic touch, large collar and plenty of black and red, you’ll be a fright for sore eyes. 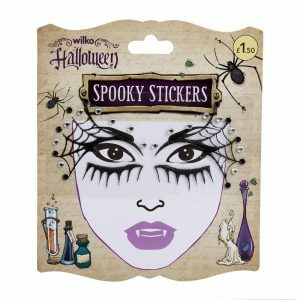 If you’re not one for donning lots of make-up or you want to look the part when you’re out trick-or-treating with the kids without any fuss, we’ve got some quick and easy solutions for you – but ones that won’t lose any fright factor. 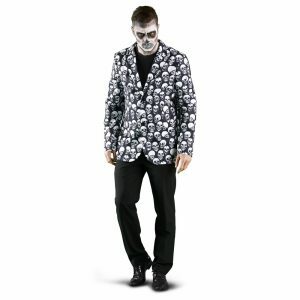 Our Skeleton Jacket is ideal for adding a devilishly dapper twist to your look, while our Ombre Mesh Cape is perfect for gruesomely glamorous get-ups. 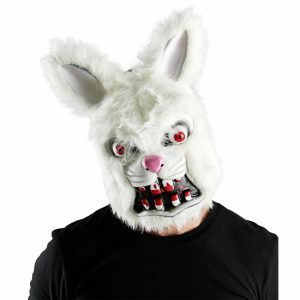 Or, to truly conceal your identity, you might want to wear one of our menacing masks. 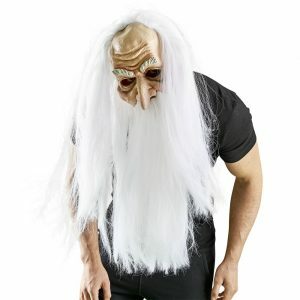 To truly terrify this Halloween, choose our Frightening Furry Mask, or capture some priceless reactions with our Wicked Wizard Mask. Although we’ve had frightful amounts of fun designing our costumes this year, we’ve not forgotten those finishing touches either. 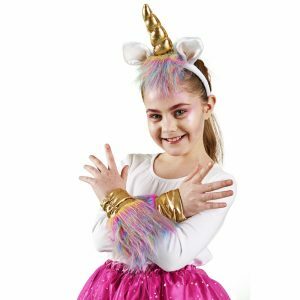 Join the unicorn craze with our Rainbow Unicorn Kit, complete your face make-up with our Spooky Face Gems, enjoy a hair-raising evening with our Skeleton Hands Clips and look ink-redible in our Tattoo Sleeves. Need help choosing the right size? 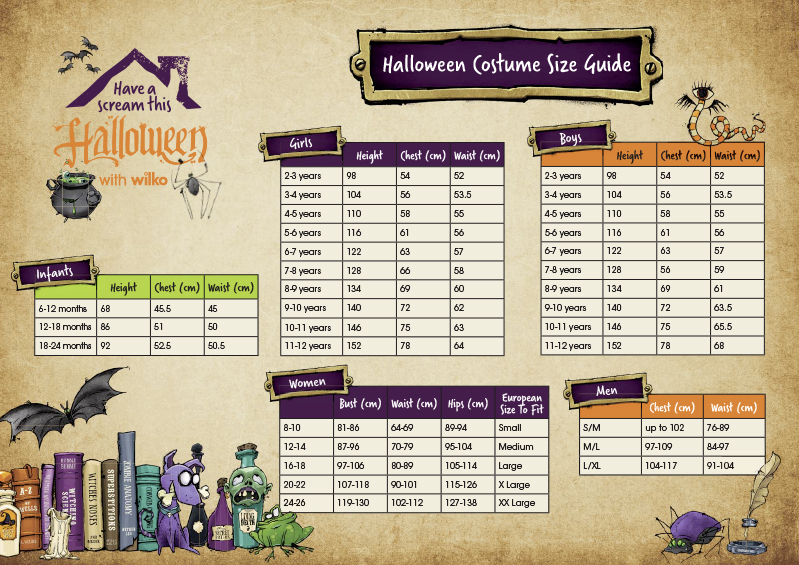 Take a look at our handy costume size guide for all the family. Whatever you’re doing this Halloween, we hope it’s a fright to remember. And don’t forget to share your spine-tingling, blood-curdling, bone-jangling pictures with us on Facebook, Twitter or Instagram!